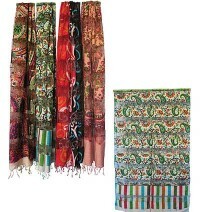 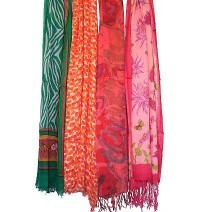 Whether it is summer or winter, cotton printed scarves or shawl always comes in our mind. 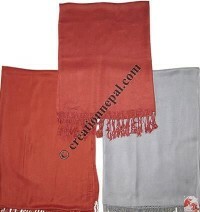 Creation Nepal has large varieties of cotton of scarves in different prints, designs and colors and also in different quality fabric for all season wear. 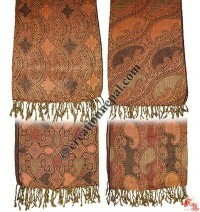 Nepalese mufflers produced using fair trade norms are available with Creation Nepal online at wholesale price. 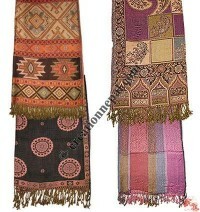 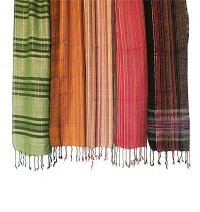 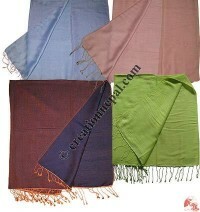 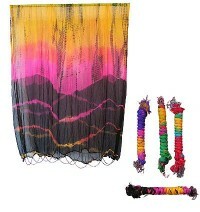 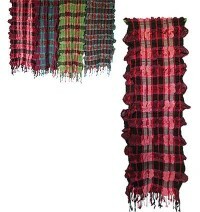 Find newly arrived mufflers, Nepal handmade stoles at Nepal's pioneer handicrafts online store Creation Nepal. 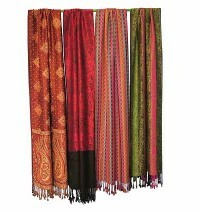 We have large selection of Nepalese scarves & mufflers like woolen mufflers -handmade woolen muffler in various patterns for the great fashion market. 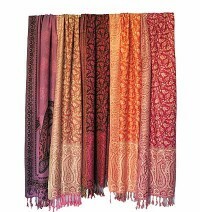 Shop online for silk mufflers, Nepal recycled silk mufflers, hand made woolen mufflers, cashmere pashmina shawls, Nepal Pashmina, pashmina stole, Himalayan cashmere pashmina scarf, Nepalese pashmina, banana silk scarf, Nepal acrylic scarf, silk scarves etc. 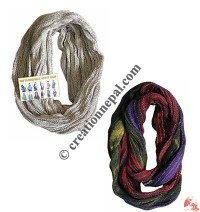 Creation Nepal brings trending fashion scarves like Tie dye silk twisted shawl, semi-transparent Raw silk printed shawl, printed thin silk scarf, Silky rayon printed shawls, OM mantra prints viscose prayer shawl, animal prints cotton scarves, cotton-jari mixed printed square scarf, cotton assorted color-pattern scarves, lycra scarf, flowers pattern silky heavy shawl etc. 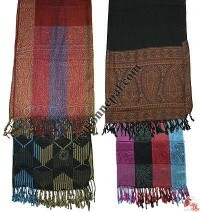 Similarly Creation Nepal have assorted pattern silky light shawl, lambs wool muffler, extra thin cotton-Jari printed scarf, cotton stripes shawl, cotton-silk net scarf, simple crochet woolen muffler, loose knit cotton stripe scarf, woolen Scarf, cotton knitting infinity scarf, woolen braided and button design snood, colorful stripes muffler, crochet triangular cotton scarf, fleece Scraf etc. 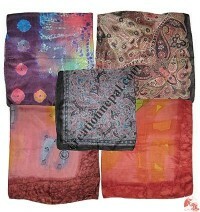 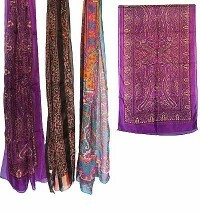 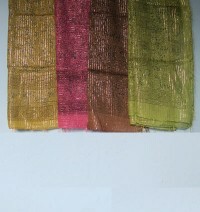 are some of our scarves collection.